The Spotlight by Brittany Shawnté: Check Out the Full List of 2017 Oscars Winners! The 2017 Oscars, hosted by Jimmy Kimmel, took place last night, and I'm still freaking out over the winners! 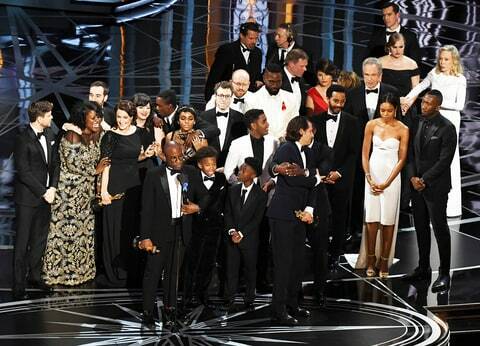 Moonlight was the big winner of the night, even taking home Best Picture (after the most awkward mix up I've ever seen on the Oscars!). La La Land, of course, had wins too, especially with Emma Stone taking home Best Actress for her role! "Can't Stop The Feeling" from "Trolls"